Liverpool John Moores University (LJMU) Astrophysics Research Institute (ARI) are seeking an astronomical instrument developer to lead development of "MOPTOP", a new STFC-funded polarimeter for the Liverpool Telescope (LT). 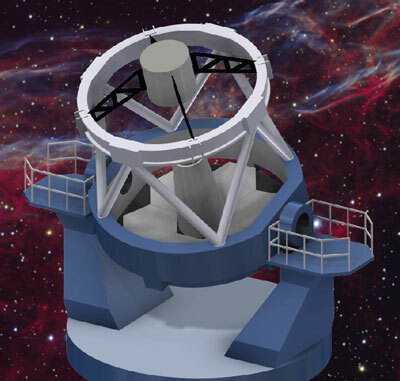 You will also contribute to other instrument projects for the LT and the proposed 4.0m-class New Robotic Telescope (LT2). You will work with science and engineering staff to develop new ideas, prototype and test systems and lead instrument commissioning. Applicants should have a PhD or equivalent in astronomy / astrophysics / physics / engineering or a related field and experience of instrument or technology development, design and/or commissioning in a scientific field. The academic post is 12 months fixed term, full time. The salary is £32,548-£38,833 per annum. The deadline for applications is 24th April 2018. Informal enquiries may be made to: Professor Iain Steele (Liverpool Telescope Director), or Dr Helen Jermak (New Robotic Telescope Project Scientist).